The Faithfull general-purpose builder's trowel featuring a Philadelphia pattern blade. 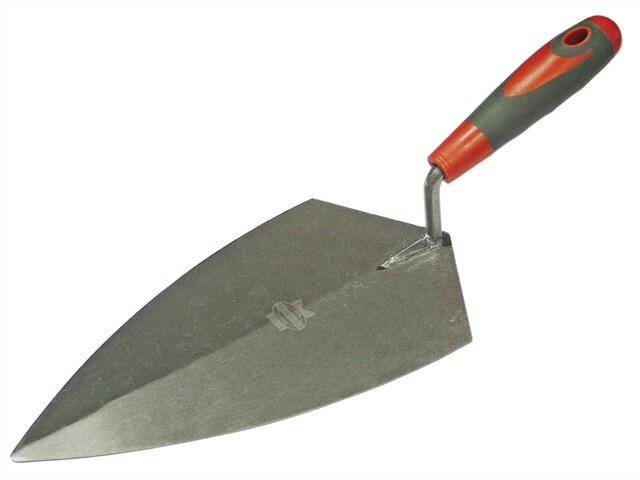 A larger more flexible blade makes these trowels a very popular choice, ideal for bricklaying and perfect for block laying application where more mortar is required. 280mm (11 in). Philadelphia pattern blade.